Is this SNCF train more crowded on a weekday or weekend? I am planning a train trip from Lyon (France) to Dresden (Germany). I am looking for information on whether the following trains are likely to be more crowded on a weekend or a weekday. I strongly prefer to avoid crowds on this trip due to having to move with heavy and fragile luggage, as well as animals. Tentative travel dates are Feb 11 Sun or Feb 12 Mon. I would also appreciate tips on where I could look up this information myself. Do the train companies make statistics public? Update: I just found out that Feb 12 is Fasching in Germany. Is this likely to cause increased traffic on that day? It was quite full on a Monday, but everyone had seats. I tried to choose seats so that they are close to the luggage rack; or they are close to a location with back-to-back seats. That way I could put the luggage inbetween the opposite-facing seats. Not the answer you're looking for? Browse other questions tagged trains sncf deutsche-bahn or ask your own question. How does the SNCF Voyageur program work? 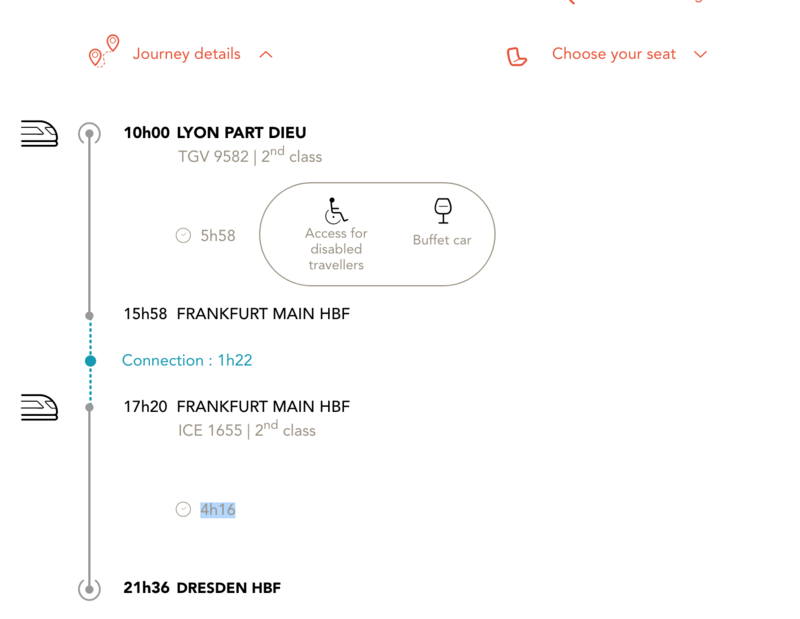 Specifying a Eurostar or SNCF frequent traveller number when booking through Loco2? Recalling the train/seat details for a SNCF ticket loaded onto your Voyageur card? Do the SNCF fidelity “points monnaie” expire when switching status? Printed my SNCF ticket and lost it? How can a private person put a SNCF train ticket on hold to combine it with its return journey later? Does “carriage” mean that I am on my own on this SNCF itinerary?